Southland team pursuit cyclist Pieter Bulling has returned from his training in Europe to prepare for the World Cup in December. Bulling was part of the New Zealand men's team pursuit who claimed the world championship gold medal in Paris in February. He returned to New Zealand from Belgium two weeks ahead of his teammates to attend the funeral for his grandfather. The rest of his teammates were leaving Belgium on Wednesday to head to Cambridge where they would continue training for the World Cup, Bulling said. Cycling New Zealand will host the second of three UCI Track Cycling World Cups for the 2015-16 season at the Avantidrome in Cambridge from December 4-6. Bulling had been based in Cambridge for about a year now, he said. "It's good now, it's really good now. It took a bit to get into the swing of things at the start." The training the team had in Belgium was really good, Bulling said. The weather in Belgium was a bit like Invercargill and not normally good, but the weather this year was awesome, he said. "We had a really good group of guys this year and support staff." The training was mainly road-based with two-day blocks of track time every two weeks, he said. While in Belgium, Bulling won the ILT Senior Sportsperson of the Year at the ILT Southland Sports Awards in June. 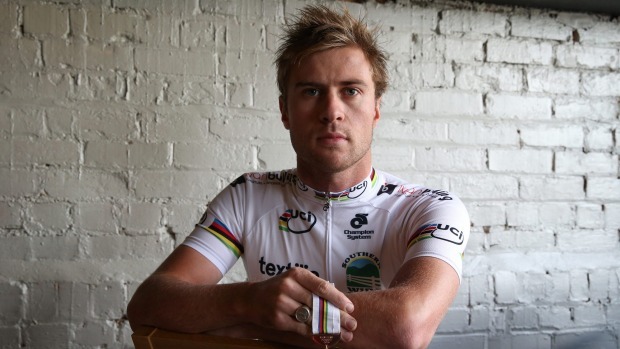 Bulling got the good news when he stepped off a bike after a 170km road race. It was a good end to a long day on the bike, he said. "I was wanting it, I really did want it . . . then when I found out I was over the moon." He knew he was a finalist and that it would be close, but to come away with it was a good feeling, he said. Normally, the world cups are held overseas and the New Zealand team travelled a lot, but this year with one in Cambridge, Bulling will be here for it. He then heads to London in March-April. Many of the cyclists racing at the world cup in December, including Bulling, are working their way towards the Rio Olympics 2016. The world cup later this year will lead to a spot at the UCI Track Cycling World Championships in London in March 2016.